This is a MACRO ENABLED game so you will need to enable the macro when prompted by PowerPoint. 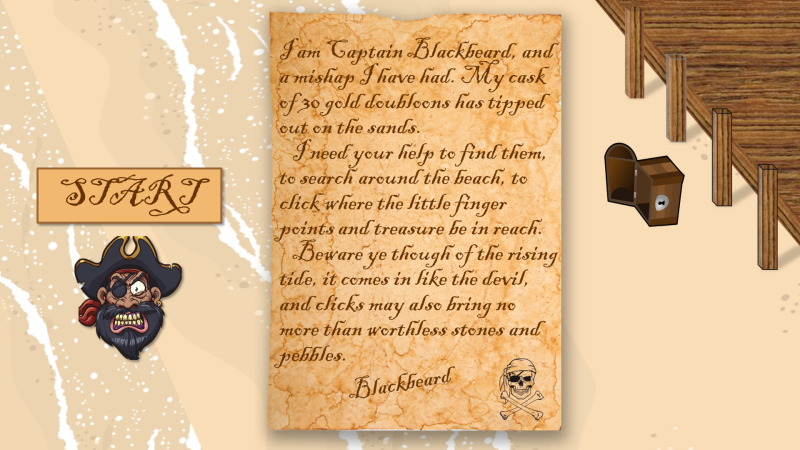 Blackbeard’s cask of 30 golden doubloons has been accidentally tipped off the jetty and scattered around the beach. 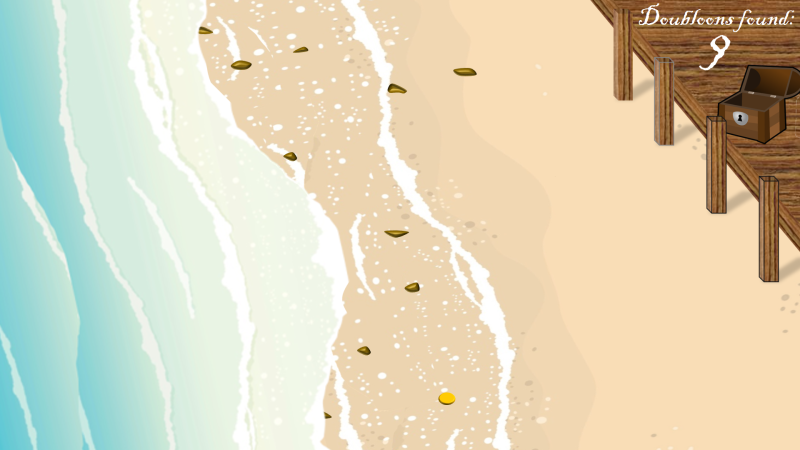 Your task is to search around the beach, click when you see the ‘pointy finger’ and hopefully reveal a shiny golden doubloon and not a worthless pebble. Watch out too for the tide. It comes in quickly and will stop you from searching.